2015 The new most powerful sedan Dodge Charger SRT Hellcat - Drive Dodge - Drive Sport! 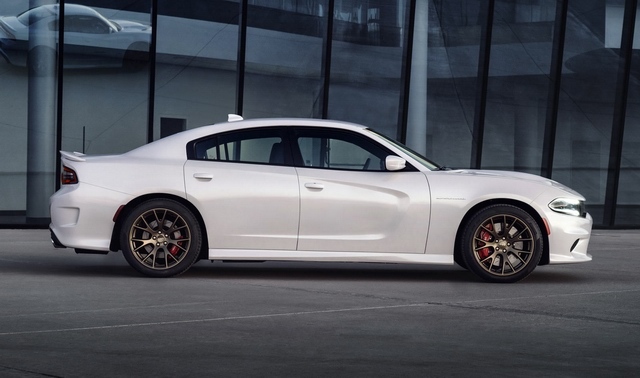 The Dodge Charger SRT Hellcat has debuted at Wudwoord Dream Cruise auto fest in Detroit. As the carmaker says, it is the most powerful sedan in a world. It is powered with a supercharged 6.2 liter V8 engine providing 707 horsepower and 650 pound-feet of torque. It is getting 100 mph in just 3.7 sec. And this is real! Its top speed is 204 mph. The car is equipped with eight-speed automatic transmission. 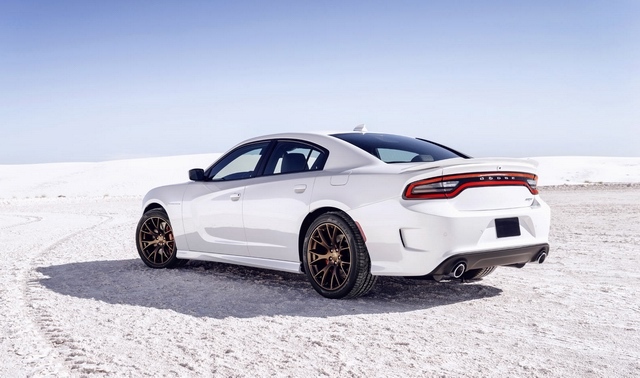 The Charger Hellcat has matching to it possibilities premium class seven spoke 20-inches Slingshot alloy wheels, and 275/40/ZR20 Pirelli P Zero tires with Y-Plus speed rating. An advanced 18-speaker Harmon Cardon audio system, 8.4-inches touch screen media center, heated steering wheel, both heated and cooled front seats, and heated rear seats, upgraded for your comfort: all this make your driving delightful and impressive. The driver has a possibility to choose from many car settings: a drive mode, a transmission shift speed, a suspension damping and traction. Inside there is a high-tech Uconnect Access providing roadside assistance, new modern 3D navigation, theft-alarm. The car cabin is Nappa leather and Alcantara suede trimmed. The Dodge Charger SRT Hellcat is selling to the customers with two sets of keys – black and red. When the owner will use the black key, the electronics will place to his disposal only 500 horsepower. When the driver will use the red one, the car will show him all its formidable potential. 2015 Dodge Challenger Drag Pak unveiled: show must go on!